Greenwood Pool daily from 12 to 7, and from 7 to 8 p.m. for adult lane swim (18+). Also see swim lessons. Monarch Park Pool daily 12 to 7 p.m., lane swim 7 to 8 p.m.
Donald Summerville Olympic Pool daily 10 a.m. to 4 p.m. and 5 to 7 p.m. Lane swim 7 to 8 p.m. daily. Lake Ontario swimming – check the water quality at Woodbine Beach, Ashbridge’s Bay Park. Farmers’ market, Jonathan Ashbridge Park, 9 a.m. to 2 p.m. This entry was posted in Beach / Beaches, Greenwood Park, Monarch Park on July 30, 2012 by The Ashbridge's neighbourhood. If you’re travelling on Queen Street, here is an update from the TTC. Basically it means — to go downtown, you’ll need to catch a bus on Eastern or a streetcar on Gerrard. Streetcars are not coming out of the west end of the Connaught barns – they’re digging up that part of the track. “As construction on Queen St. E. progresses, the TTC will be changing the diversion of the 501 Queen streetcar service starting this Sunday, July 29. For TTC customers living in the Beach, streetcar service will return along Queen St. E. to Neville Loop. Construction, however, continues near the TTC’s Russell Carhouse on Queen St., just east of Greenwood Ave. As such, the 501 Queen streetcar will divert in both directions via Coxwell Ave., Gerrard St. E. and Broadview Ave. Replacement buses will continue to operate along the affected portion of Queen St. E. from Woodbine Loop (near Kingston Rd. ), along Eastern Ave. and back to Queen St. E. then west to Parliament St. This entry was posted in Queen Street on July 30, 2012 by The Ashbridge's neighbourhood. Toronto Life’s “Where to Eat Now” includes five local restaurants in the Greenwood-Coxwell neighbourhood — three on Queen and two on Gerrard. Siddhartha Fine Indian Cuisine (Has it reopened? They had a fire). This entry was posted in Ashbridge's neighbourhood businesses, Ashdale Village / Little India, Gerrard Street East on July 26, 2012 by The Ashbridge's neighbourhood. Fri. July 27 – 9 a.m. to 12 p.m. Talk with Councillor Mary-Margaret McMahon at Applegrove, basement Duke of Connaught School, Woodfield Road entrance. Our councillor’s office number is (416) 392-1376. Kids’ Summer Reading Club – visit the library to find out more. This entry was posted in Uncategorized on July 23, 2012 by The Ashbridge's neighbourhood. After a very long life, the European copper beech tree near 54 Woodfield Road on the Ashbridge Estate is no more. It was chopped down in the last week or so, and replaced by a new arrival, which appears to be a tulip tree – please comment below to correct me if that’s wrong. 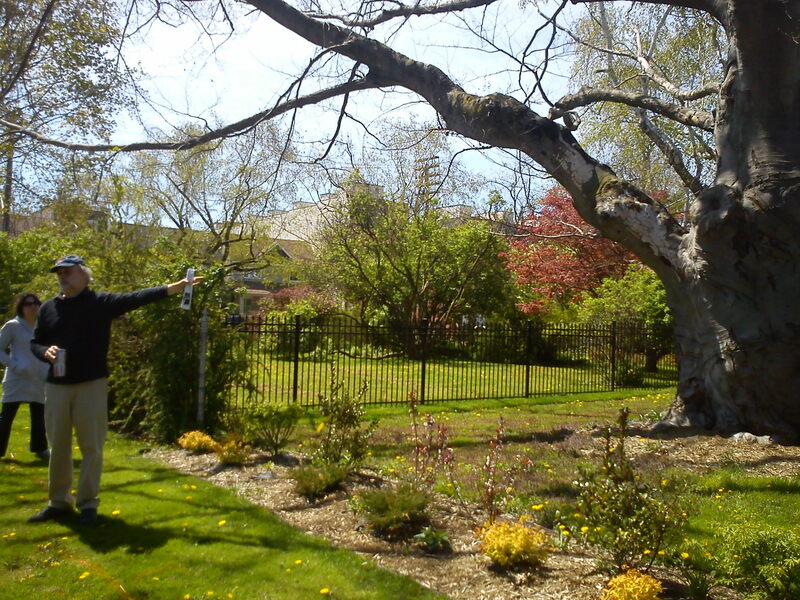 On May 6, 2012 the copper beech was clearly gone. In early July it was gone for good, no trace remaining. Welcome to the little guy – looks like a tulip tree has replaced the old beech. 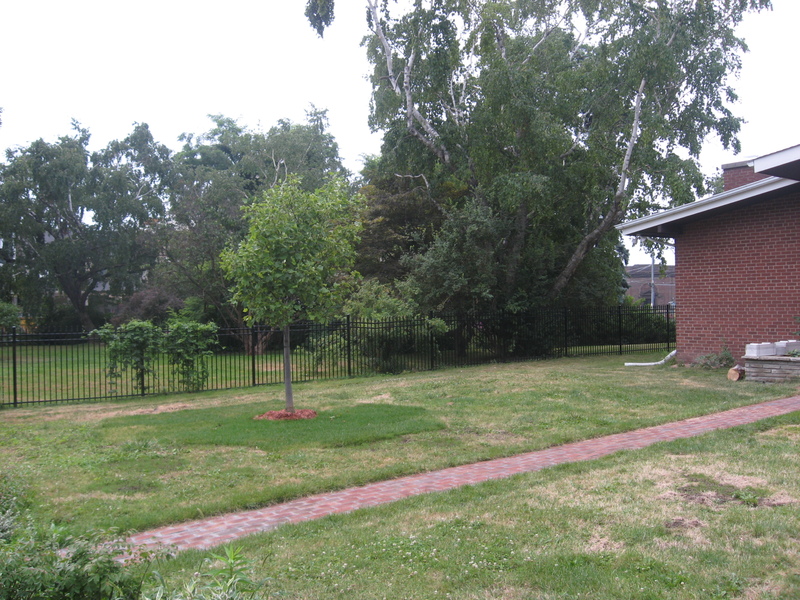 This entry was posted in Ashbridge Estate on July 18, 2012 by The Ashbridge's neighbourhood. There are a lot of events happening between now and Labour Day – all within a short walk. At the moment, there are a lot of pink phlox blooming behind the Ashbridge Estate – worth a visit. The 23rd annual festival kickoff on Friday evening July 20 to Sunday July 22 afternoon at Woodbine Park. Followed by the Streetfest, three nights of jazz in all its variations from Thur. July 26 to Saturday July 28 between 7pm – 11pm. Upwards of 50 Canadian bands will be performing along Queen Street East from Woodbine Ave. to Beech Ave. There are performances on stage at Kew Gardens, Saturday July 28 and Sunday July 29 from 11:00 am – 6:00 pm. This entry was posted in Beach / Beaches, Greenwood Park, Monarch Park on July 17, 2012 by The Ashbridge's neighbourhood. There are a lot of events happening between now and Labour Day – all within a short walk. Greenwood Pool open daily from 12 to 7, and from 7 to 8 for adult swim (18+). Also see swim lessons. More info: Rise Up – Facebook. This entry was posted in Beach / Beaches, Greenwood Park, Monarch Park, S.H. 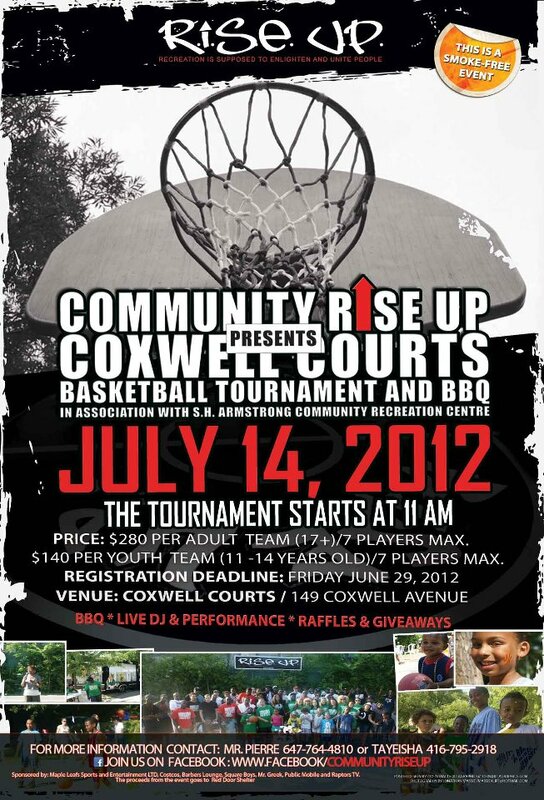 Armstrong Community Recreation Centre on July 13, 2012 by The Ashbridge's neighbourhood.